– Erik, my friend. Can you explain what the Internet is? – Yes, the Internet. You see, I read about in the newspaper and watch people talk about it on TV but I just don’t get it. How does it work? – Well, OK. The Internet is sort of like a big, big island where anyone can make their voice heard simply by gathering people around them and start talking. People tend to trust people who don’t just talk but also listens more so if you want many people to listen to you, you can’t just talk but start a conversation. – But won’t you run out of places where people can gather to converse? – No, it’s a very big island. – But how do people find where the interesting conversations are. – Ah, that’s the beauty of it: there’s a big index table keeping track of all the places. Anyone can add to this index simply by creating a new post. Then there are numerous recommendation engines you can use to find the best conversations. These recommendation engines are also built on trust. – Wow, that’s really cool! But does it scale? – So far it seems to have scaled pretty well. 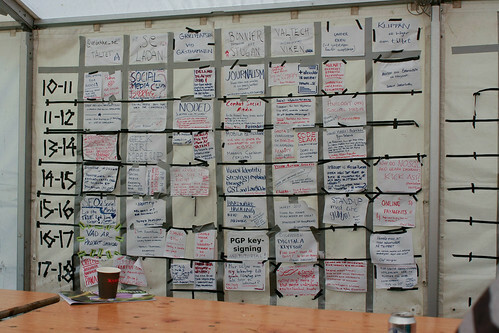 – Hm, OK, so there’s an index keeping track of the places where the conversations are. Anyone can start a conversation and the good conversations are found using a recommendation engine. You know, I read about something like that in the paper. A bunch of nerds met on this island in Blekinge and did exactly that. 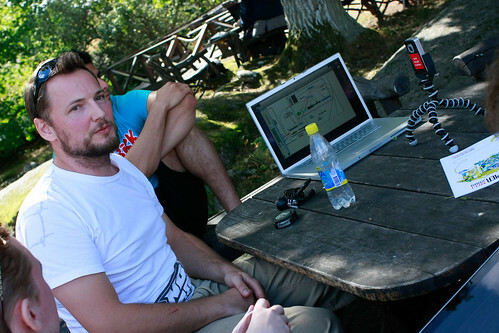 It was called the Sweden Social Web Camp. (Flickr.) This is my friend Björn Falkevik. He was one of the people who started a conversation. This one took place under an oak. (Flickr). Here’s the index table. On the “real” Internet this is called DNS and Google (sort of). Anyone could create a new session and if you ran out of places to be (the top column), you simply added a new column with a new place. The island was so big. – Well, not that big. But big enough. (Flickr). 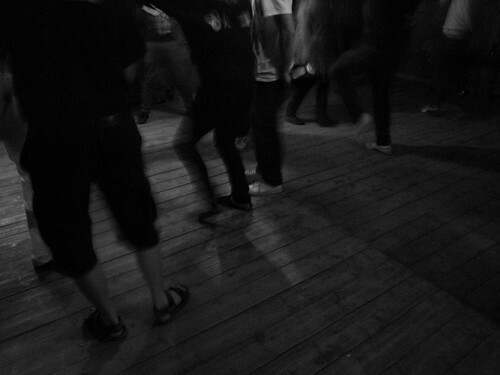 Even as it got dark people kept on talking to each other, but it was less formalized. – Yeah, I read about that. That’s the darknet, right? – Haha, not really. The darknet is… something else. – Seems like you had a great time! – Imagine that… someone building a conference about the net using the same basic architecture as the net itself. That’s really cool. – Yeah, I know, but I think this is what most events will be like in the future. Not just events but also prouct development, companies, brands, maybe even countries! Everything will be driven by engines of trust. 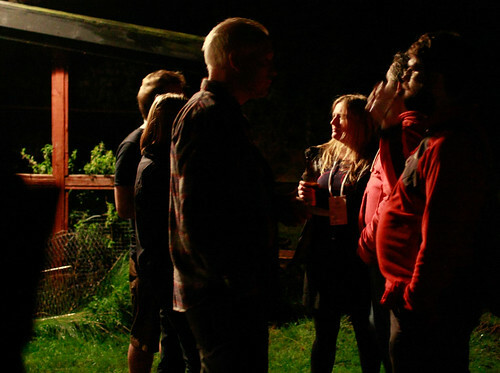 – Sounds like this Sweden Social Web Camp should not be missed next year. – That’s very, very true. Trust me on that! Nice one Erik. Hör av dig om du vill snacka litta om projektet – det låter klockrent! Cool. A great text about a great camp. 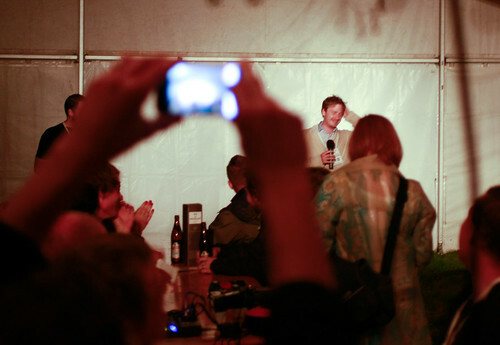 This is really a wonderful post about the SSWC. Well done!